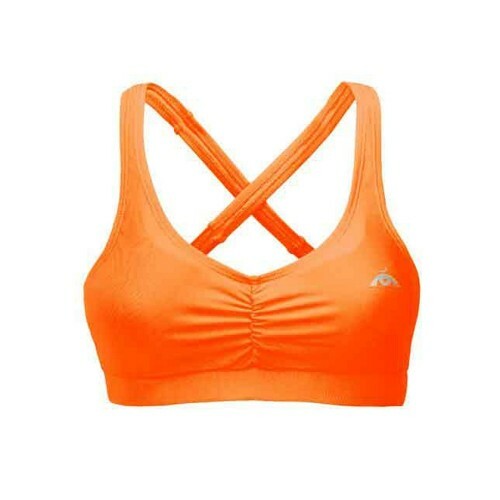 Sports bra in neon color!!! Geribá sports bra consists of straps that cross in the back, providing great comfort and good support to the breast. 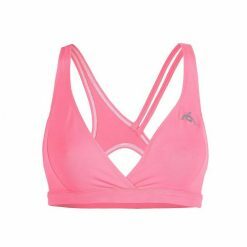 GERIBÁ SPORTS BRA IN NEON COLOR! Geribá sports bra consists of straps that cross in the back, providing great comfort and good support to the breast. Its shirring effect in the front makes this sports bra even more beautiful. Its fabrics are produced in neon colors and they have very soft touch. 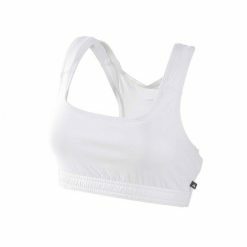 Charming and elegant, this sports bra is ideal for medium and high impact workouts such as jogging, tennis, cross-fit, among others. 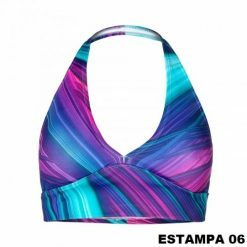 If you find it difficult to find pieces to match these sports bras, see our Caravelas leggings and Pituba Singlet. They are excellent match!